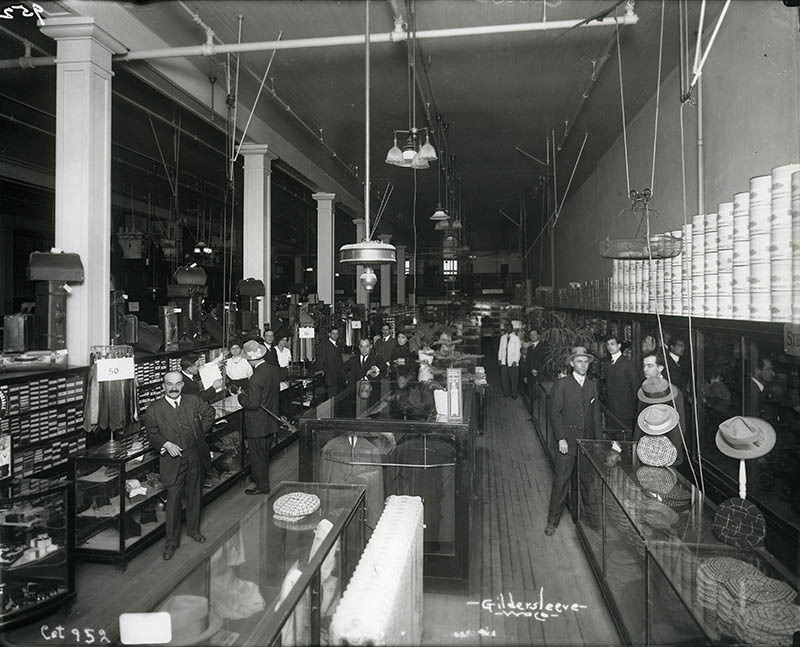 In 1886, Wacoans Isaac A. Goldstein and Louey Migel formed the Goldstein-Migel Company in order to try their hand at retail. The partners opened their first store on the ground floor of a building in the 700 block of Austin Avenue with only two clerks in their employ. After just one year of business, Goldstein and Migel possessed sufficient means to annex the adjacent building, thereby doubling their store’s capacity. 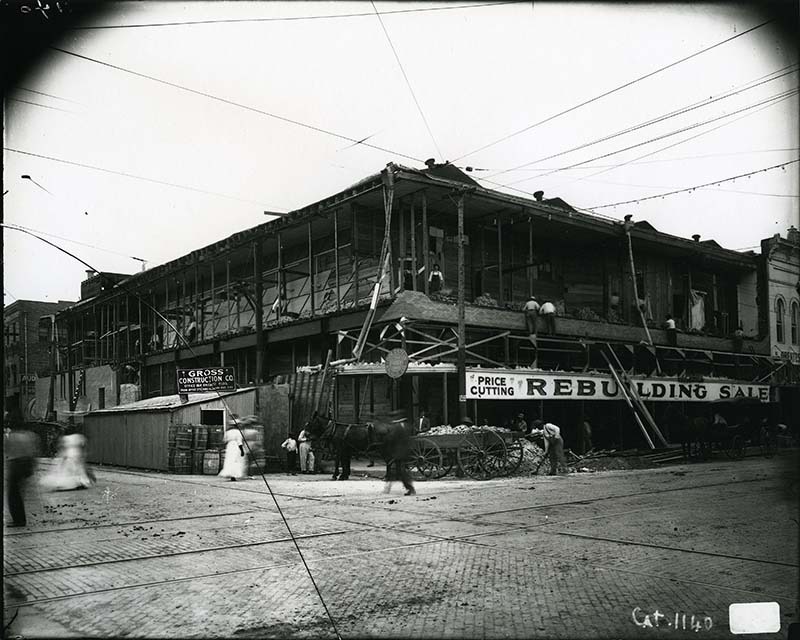 The store moved to the corner of Sixth Street and Austin Avenue in the 1890s. The new two-story, double-front brick building allowed Goldstein and Migel to expand the store’s inventory to meet the demands of a rapidly growing customer base. However, on August 18, 1891, tragedy struck when a fire destroyed the entire building. The company lost $80,000 in property damages. Following the fire, the store was rebuilt and then renovated and expanded several times in the following years. 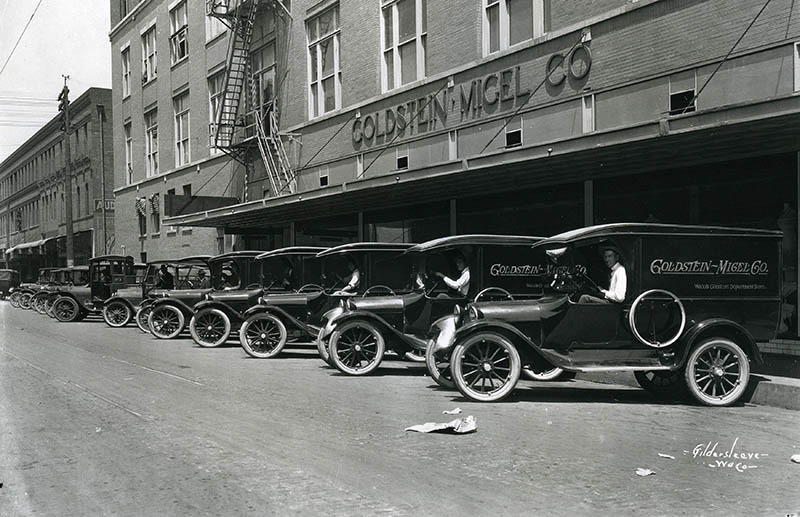 In order to remain competitive with their local rivals, Goldstein-Migel became one of the first dry goods stores in Waco to make use of electric fans, elevators, air conditioning, and public restrooms. The department store even featured a soda fountain and a small restaurant for a time. 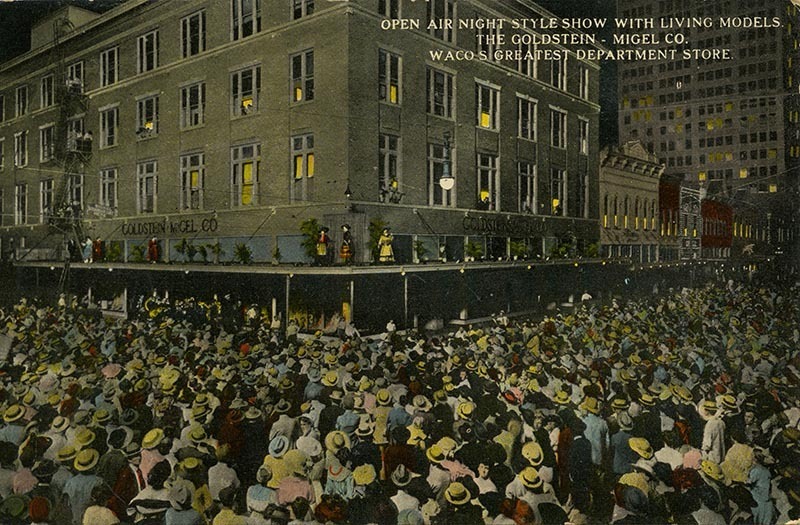 Goldstein-Migel touted itself in advertisements as “Waco’s greatest department store.” While this claim was certainly embellished for promotional purposes, shoppers could find a variety of quality goods within its walls. 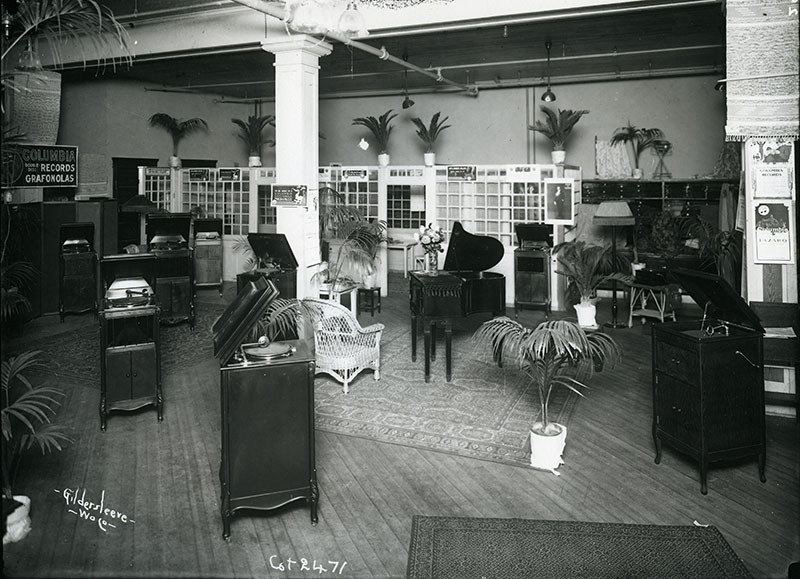 The store carried a diverse assortment of clothing, furniture, jewelry, housewares, and other dry goods, spread out in lavishly decorated departments. 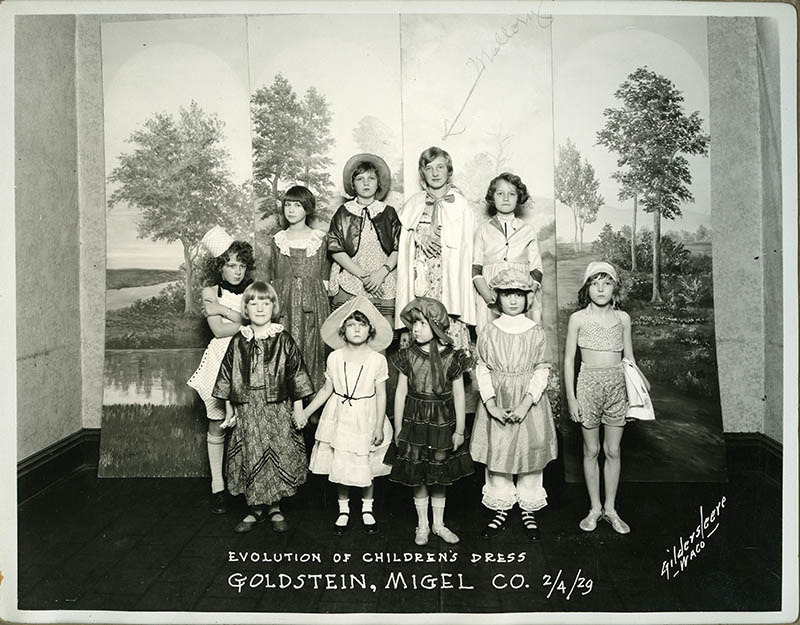 During the second half of the twentieth century, Goldstein-Migel faced the challenges of suburbanization and economic downturn. In a bid to cater to a customer base that was increasingly relocating to the suburbs by the early 1960s, Goldstein-Migel opened a second location at the Lake Air Mall. 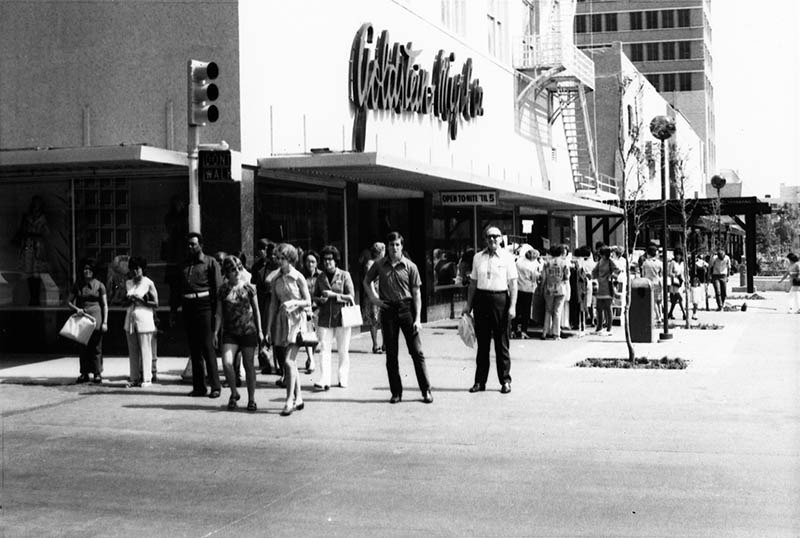 Not to be forgotten, the original Goldstein-Migel location became one of the centerpieces of the Austin Avenue Pedestrian Mall, an urban renewal project sponsored by the City of Waco in 1970. Urban planners hoped that by closing the street to traffic and beautifying the space, residents would see the downtown as a viable shopping destination once again. Unfortunately, the mall failed to attract the long-term loyalty of customers, and the venture was abandoned in 1984. 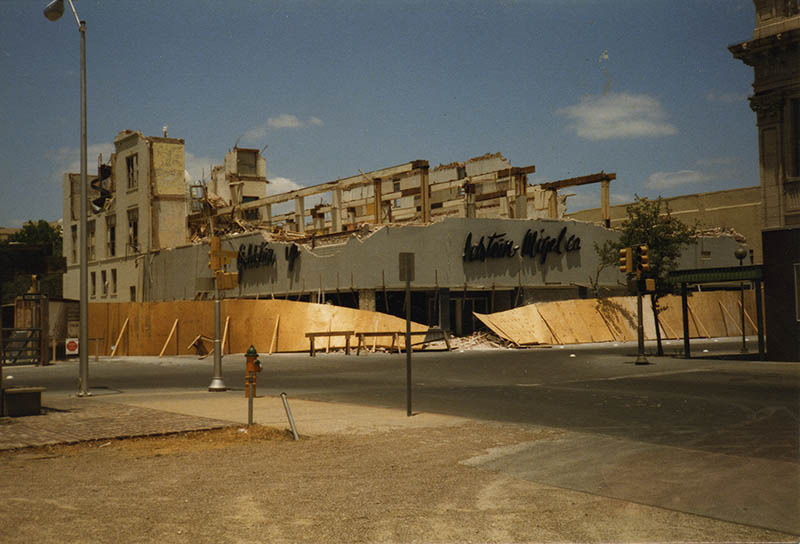 The demise of the pedestrian mall led to the demolition of Goldstein-Migel’s downtown location and the transfer of all operations to the suburban department store. Yet not even the suburbs could save Goldstein-Migel when difficult economic times led to the closure of the Lake Air Mall, forcing the department store to cease operations for good. 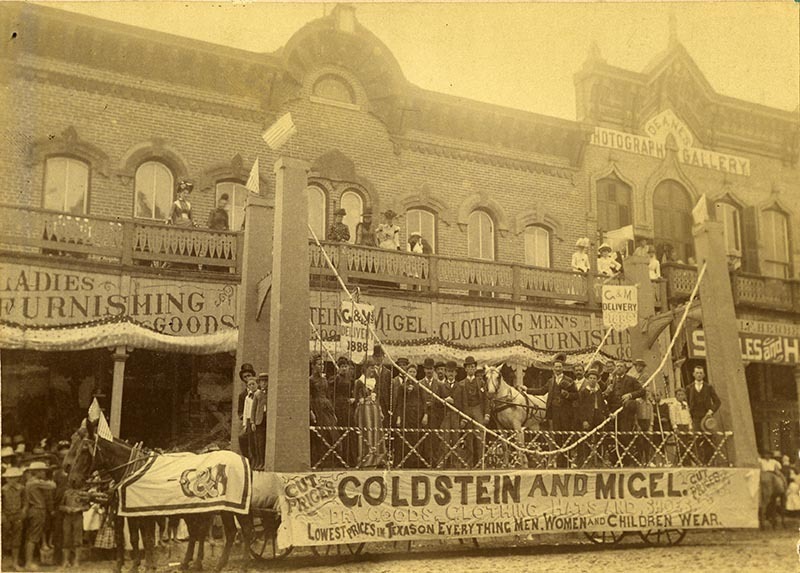 In spite of a competitive retail industry and the fickle economy, Goldstein-Migel proved its success through over a century of faithful service to Wacoans. 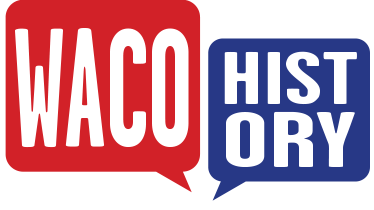 Amanda Sawyer, “Goldstein-Migel,” Waco History, accessed April 26, 2019, https://wacohistory.org/items/show/69. “Goldstein, Isaac A.” In The Handbook of Waco and McLennan County, edited by Dayton Kelley. Waco: Texian Press, 1972. 112.